Gluten Free Star Mince Tarts. Free from gluten, egg, soya, wheat and nuts. Gluten Free Star Mince Tarts. No one should miss out on mince pies at Christmas and today I'm happy to share these Gluten Free Star Mince Tarts with you. Use a fork or pastry blender to work the butter into the flour until the mixture resembles breadcrumbs. Avoid using your fingers for this. Stir in enough of the water to bring the pastry easily together into a soft, slightly sticky ball of dough - it will appear a little wet but will absorb the liquid while resting. Grease a 12 hole tart tray with butter and pre-heat the oven. Take two thirds of the pastry and roll it out between two pieces of floured cling film or parchment until it is the thickness of a pound coin. Select a pastry cutter or cup a little bigger than the holes of the tart tray and press it into the dough to make circles. Lift the circles on to the prepared tray. Put a teaspoon of mincemeat in the centre of each tart. Roll the remaining pastry out between two pieces of cling film or parchment and press the star cutter into the dough to make star shapes. Gently place these over the mincemeat. Remove the tart tray from the oven and brush the pastry stars with a little apricot jam before cooking for a further 5 minutes. 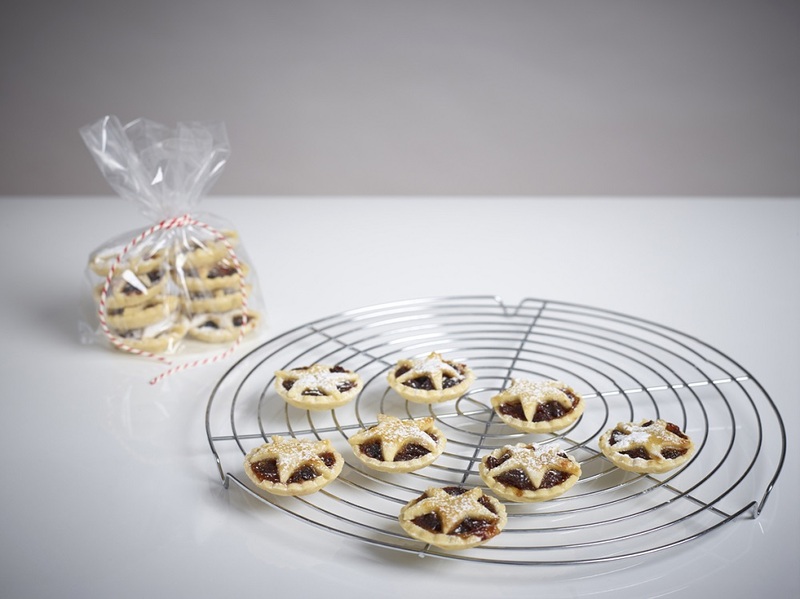 What do you think of this Gluten Free Star Mince Tarts recipe? Recipe and image courtesy of Freee By Doves Farm. Gluten Free Star Mince Tarts. 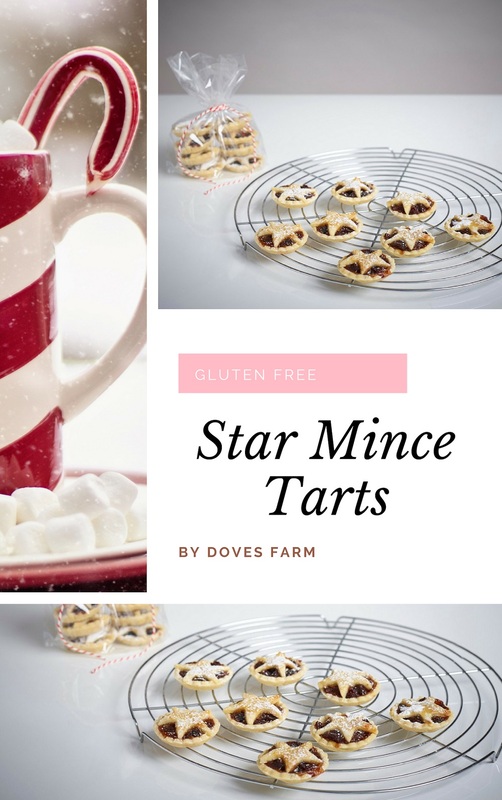 No one should miss out on mince pies at Christmas and today I'm happy to share these Gluten Free Star Mince Tarts with you. Free from gluten, egg, soya, wheat and nuts. Gluten Free Chocolate Yule Log. 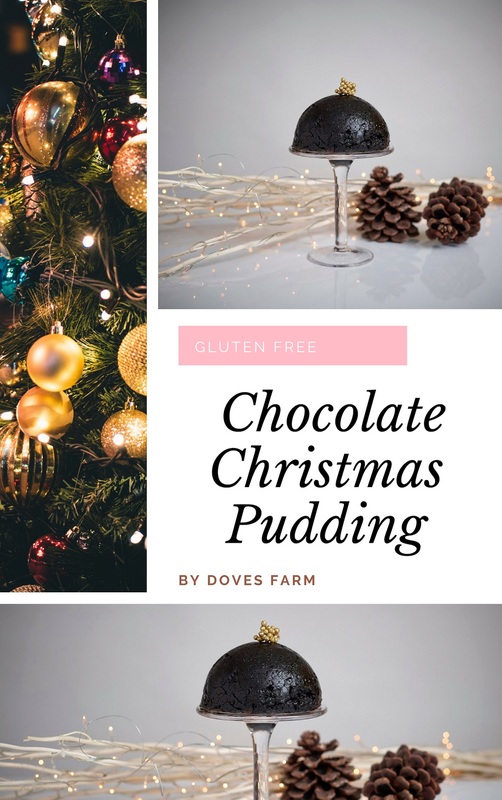 Gluten Free Chocolate Christmas Pudding. Gluten Free Christmas Fruit Bread. Happy Saturday. Gluten Free Chocolate Christmas Pudding anyone? Free from gluten, egg, soya, wheat, dairy and nuts. Suitable for vegetarians and vegans. Chop the cherries and dates into a large mixing bowl, add the raisins, currants, oil, water and treacle. Cover and leave the mixture to stand for at least 2 hours or overnight. 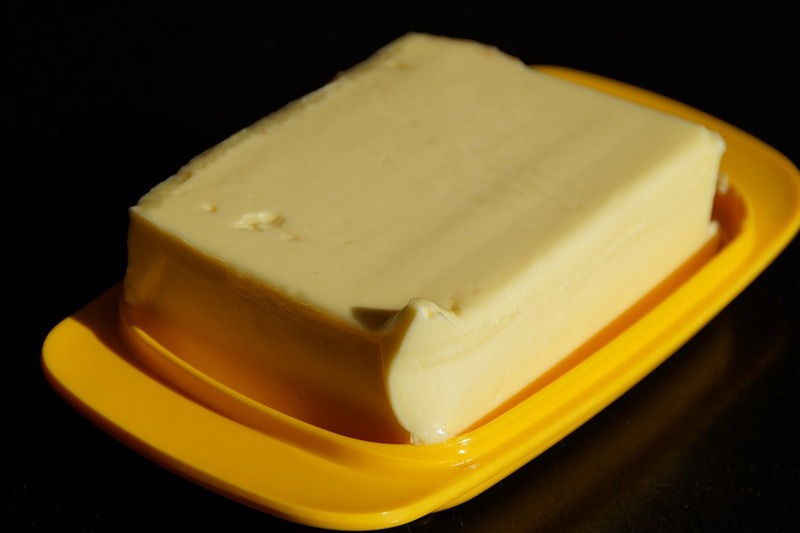 Rub some oil around the sides of a 1lt/2pt pudding basin then cut two circles of greaseproof or parchment paper the size of the top of the pudding basin. Grate the plain chocolate into a bowl, add the flour, cocoa and mixed spice and stir to combine. Stir in the soaked fruit mixture. Pour everything into the prepared pudding basin, pushing it down and smoothing the top. Spread tin foil over the top of the pudding basin, tucking it in well around the outer rim. Place the pudding basin in a saucepan, then fill with water until it is half way up basin. Put the lid on the saucepan and boil for 4 hours, check regularly, adding extra boiling water to maintain the water level. If using a pressure cooker see the manufacturer’s instructions. Carefully remove the pudding and cool, without removing the foil or greaseproof paper. Store the pudding until required, for up to a month. Before eating, remove and refresh the foil and paper layers. Place the pudding basin in a saucepan, fill with water until it is half way up the basin and steam for 1 hour or see pressure cooker instructions. Alternatively remove the foil and paper, spread plastic wrap over the top of the pudding basin and make some holes in the top. Microwave on full power for 3 minutes, leave to stand for 1 minute then microwave on full power for a further 2 minutes. Check that it is heated through. Remove all foil, paper and plastic wrap, place a plate on top of the pudding basin and carefully invert the pudding. Put the warm Christmas pudding on a heatproof plate. Measure the rum into a small saucepan and warm it over gentle heat without letting it boil. Remove the pan from the heat, tilt it sideways and carefully ignite the fumes with a match or lighter. Immediately pour the flaming liquid over the pudding. Before the flame subsides, tilt the plate and spoon any liquid back over the pudding. 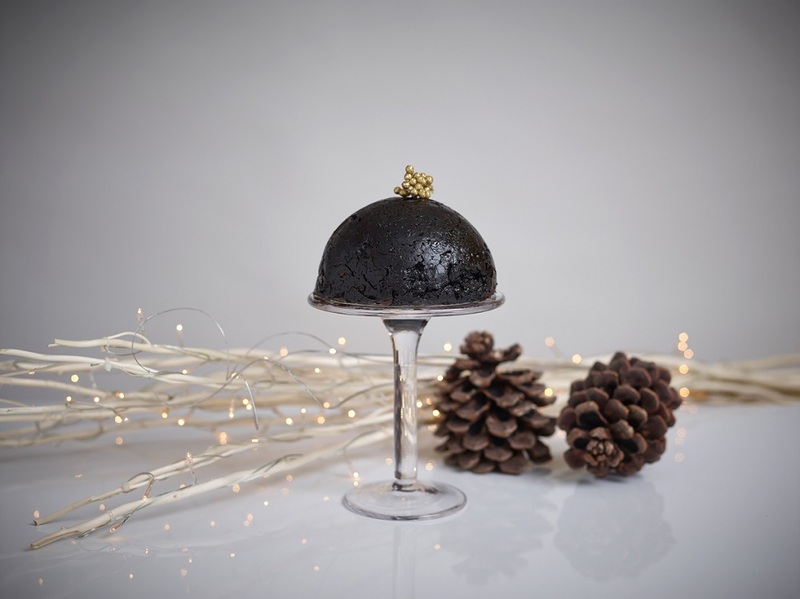 What do you think of this Gluten Free Chocolate Christmas Pudding? Do you fancy making one? Gluten Free Chocolate Christmas Pudding anyone? Free from gluten, egg, soya, wheat, dairy and nuts. Suitable for vegetarians and vegans. Do you fancy baking some Gluten Free Christmas Fruit Bread? Free from gluten, soya, wheat and nuts. Suitable for vegetarians. Grate the orange rind into a bowl, add the juice, dried fruit and peel and stir to combine. Cover and leave to stand for at least 2 hours. Line the base of a 15cm/6” deep round cake tin with parchment. Line the sides with a double layer, twice the height of the tin. Check the lined cake tin will fit into your oven and pre-heat the oven. Put the egg whites (or chickpea flour + water), melted butter (or oil), honey, salt, and water into a jug and whisk them together. 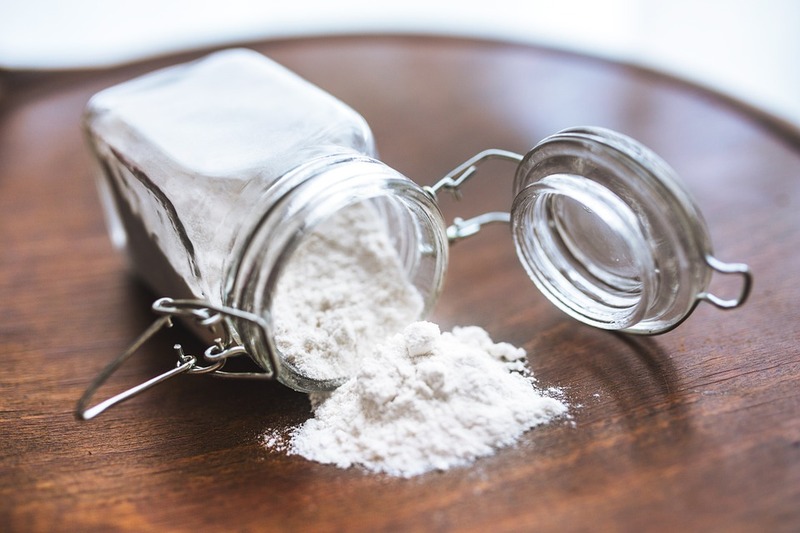 Measure the flour and yeast into a large mixing bowl, sieve in the cinnamon and nutmeg and stir to combine. Tip the dough into the prepared tin and smooth the top. Cover loosely with parchment and leave to rise in a warm place until doubled in size (60/90 minutes). Bake loosely covered with the parchment for 55-60 minutes. 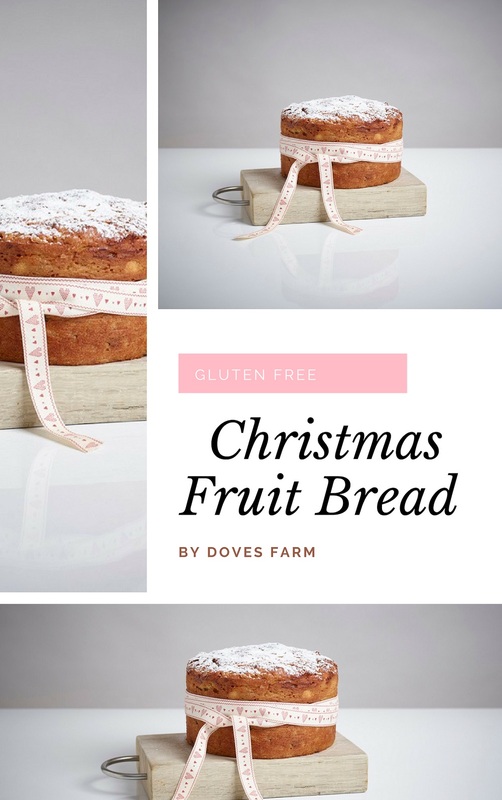 What do you think of this Gluten Free Christmas Fruit Bread recipe? Fancy making some? Recipe and image courtesy of Freee By Doves Farm. Do you fancy baking some Gluten Free Christmas Fruit Bread? Free from gluten, soya, wheat and nuts. Suitable for vegetarians. Gluten Free Chocolate Yule Log. 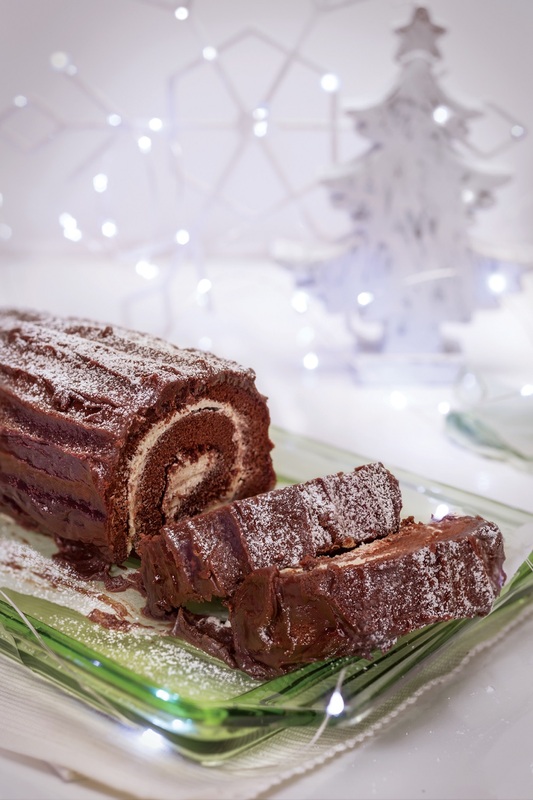 Gluten Free Chocolate Yule Log anyone? Free from Gluten, Soya, Wheat, Dairy, Nuts. Suitable for vegetarians and vegans. Line a 32x23cm Swiss roll tin with parchment and preheat the oven. Put the cocoa and water into a bowl, mix until smooth then set aside. 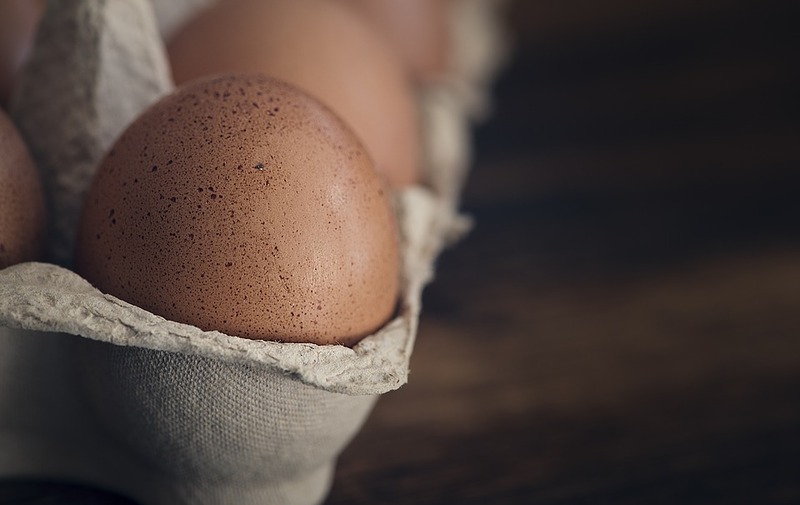 Break the eggs into a large bowl and beat really well. Add the caster sugar and beat for two minutes. Sieve the flour into the bowl and beat for another two minutes. Add the prepared cocoa mixture and beat for a further minute. Tip the mixture into the prepared tin and spread it out to the edges. 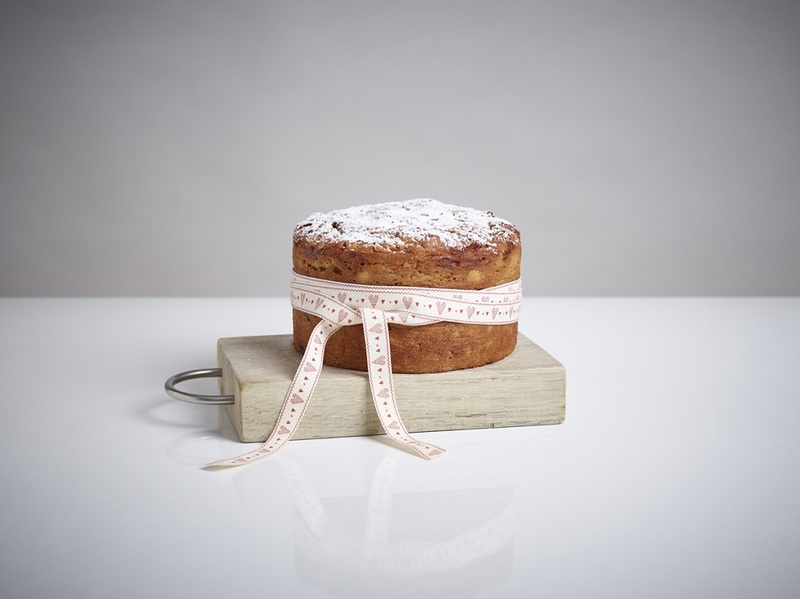 Leave the cake in the tin for two minutes then gently tip it out onto a tea towel, gently roll it up into a cylinder and leave to cool. 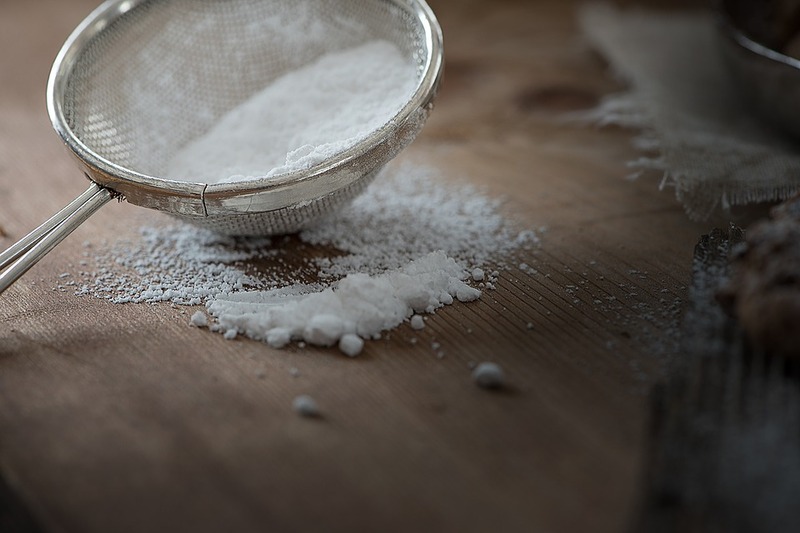 Sieve the icing sugar into a bowl, add the butter and beat together until smooth. Gently unroll the cold sponge, spread the buttercream evenly over the inside and roll it up again without the tea towel. Put the cream into a saucepan, bring it to the boil then remove it from the heat and add the chocolate. Stir until smooth. Cool the chocolate for a few minutes, stirring occasionally as it thickens. Spread the chocolate over the cake. Drag the prongs of a fork lengthways through the chocolate to create texture. Sieve a little icing sugar over the cake before serving. 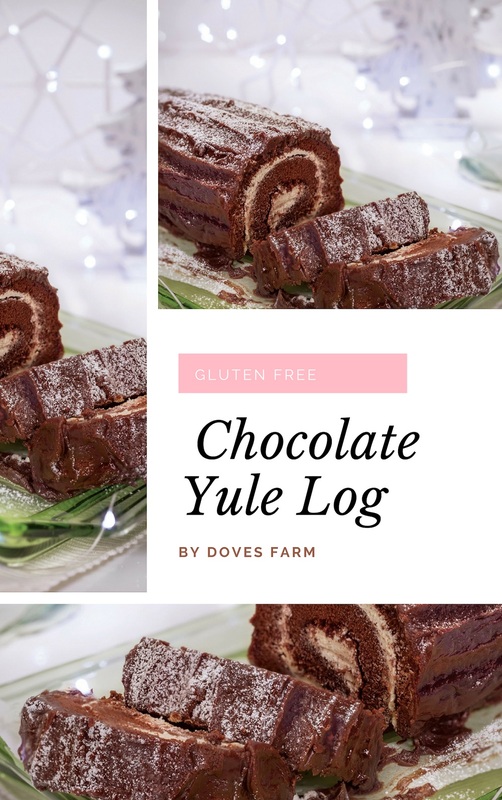 What do you think of this Gluten Free Chocolate Yule Log? Do you fancy making one? Gluten Free Chocolate Yule Log anyone? Free from Gluten, Soya, Wheat, Dairy, Nuts. Suitable for vegetarians and vegans. 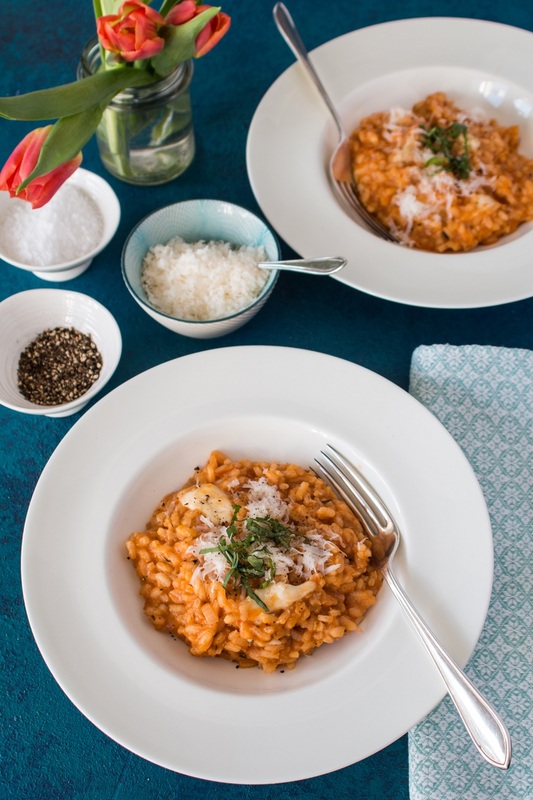 Isle of Wight Tomato risotto - Take your time to stir up this delicious risotto Its just the thing on a chilly November evening to light up your night. Chopped fresh basil for serving. 1.) Preheat the oven to 190 degrees C. 2.) 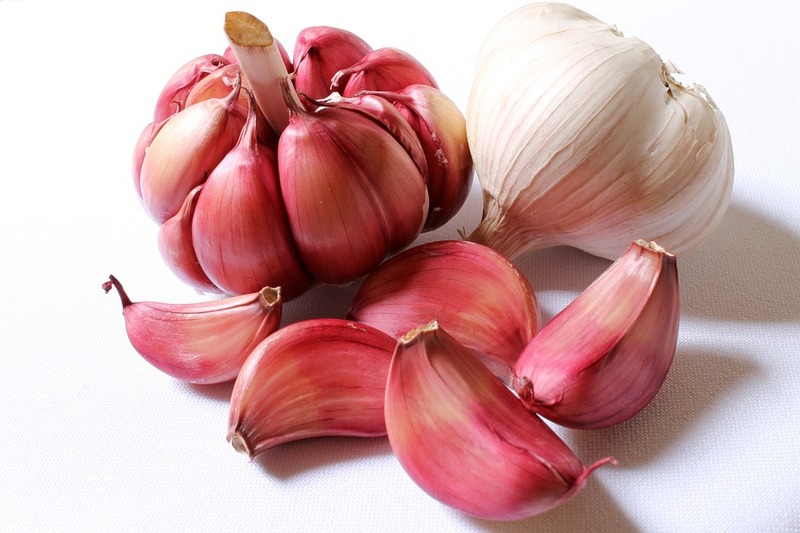 Put the tomatoes and garlic in a bowl, sprinkle with the sugar and a touch of salt and freshly ground black pepper, drizzle with olive oil and toss to coat. 3.) Lay the tomatoes and garlic halves on a baking sheet and roast for about 30 minutes or until the skins of the tomatoes have collapsed and are just starting to brown. 4.) Put the roasted tomatoes and garlic in a blender along with the chicken stock and blend until smooth then keep hot in a small saucepan. 5.) 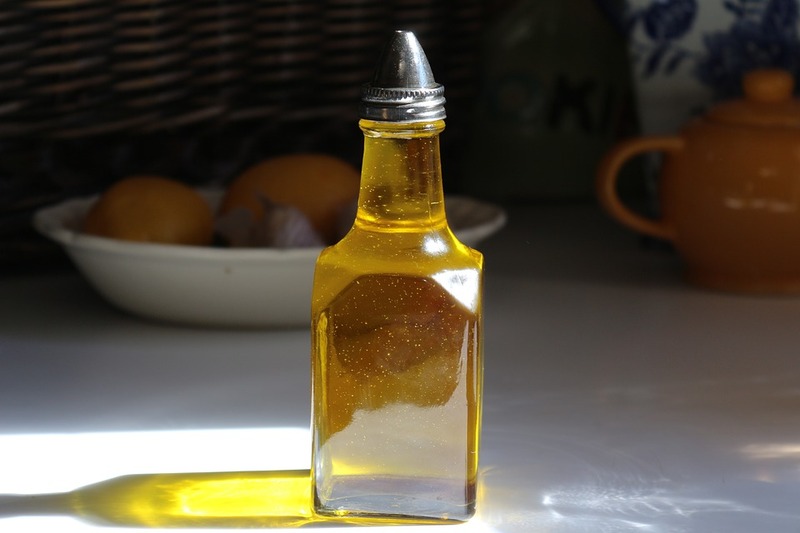 Heat the olive oil and butter in a medium saucepan. Add the shallots and cook until soft and translucent, 5-7 minutes. Add the garlic and cook for another minute. Add the rice rosemary and salt & pepper, stir and cook for one minute. Add the white wine, bring to a boil, and boil until the wine is mostly evaporated, 2-3 minutes. 6.) Add about ¼ of the hot tomato mixture. Cook, stirring regularly, until most of the liquid has been incorporated, then continue adding a little at a time, stirring regularly as the rice absorbs the liquid (this will take 20-25 minutes). The rice will begin to swell and become creamy in texture. Stir in the mozzarella and Parmesan. Add salt and pepper to taste. If the rice is too dry, stir in a little extra hot stock. 7.) Serve immediately in wide bowls, sprinkled with freshly grated Parmesan cheese and chopped basil. What do you think of this Isle of Wight Tomato Risotto recipe?